Malaysian BLINK have been waiting for these details ever since it was revealed that Kuala Lumpur is one of BLACKPINK’s stops during their 2019 world tour. So here we bring to you the updates on not only the ticket prices and seating plan, but also ways to get the tickets at a discounted price! 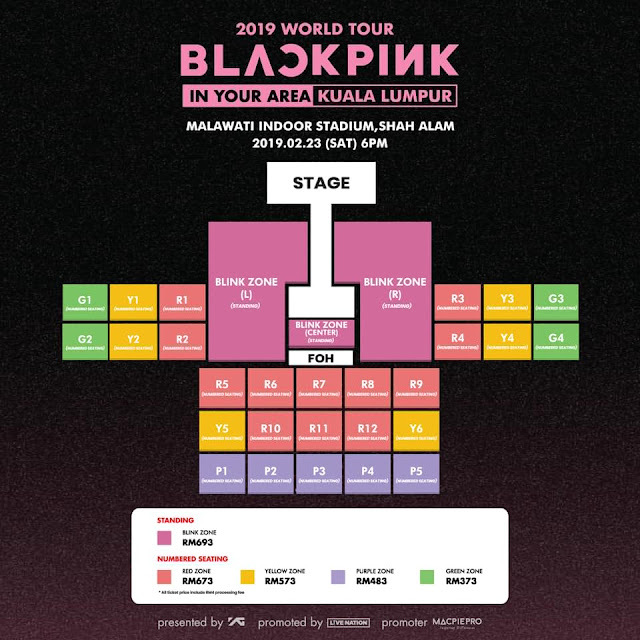 Get your wallet ready, this is how much you’ll be paying to see Lisa, Jisoo, Jennie and Rose in person: RM693 (BLINK Zone), RM673 (Red Zone), RM573 (Yellow Zone), RM483 (Purple Zone) and RM373 (Green Zone). The seating plan for BLACKPINK’s world tour in Kuala Lumpur. During the press conference held earlier today, MacpiePro CEO Mr. Ang Chee Ciang reminded fans to purchase the tickets only from the correct channel i.e. MacpiePro’s official website, to avoid benefitting ticket scalpers. Now, if you think these ticket prices are a little too steep, as we mentioned above, there are ways to get them at a lower price. Specifically, Mcalls users will benefit from the newly introduced HITS Package, a yearly subscription prepaid SIM service. There are three types of HITS Package to choose from priced at RM360, RM540 and RM720 (more details on this can be found on www.mcalls.asia). No matter which package you go for, you will be entitled to 2 BLACKPINK concert tickets with conditional discounts! You can get the first ticket at a 40% discounted price and the second ticket for 10% less, applicable for either BLINK Zone RM693 or Red Zone RM673 tickets with guaranteed entry. You’ll have to rush for this one since the HITS Packages go on sale from today onwards. So not only will you get them so much cheaper, you’ll also get to book them way before the ticket sale starts! (As informed by Mcalls rep during the press conference). (L-R) Fuying & Sam, Mr. Ang, Mr. Francis Leong (Sterling Progress Berhad CEO), and Han Xiao Aii (first local artiste signed by MacpiePro) at the press conference for “Crazy 20” & BLACKPINK’s concert in Malaysia. 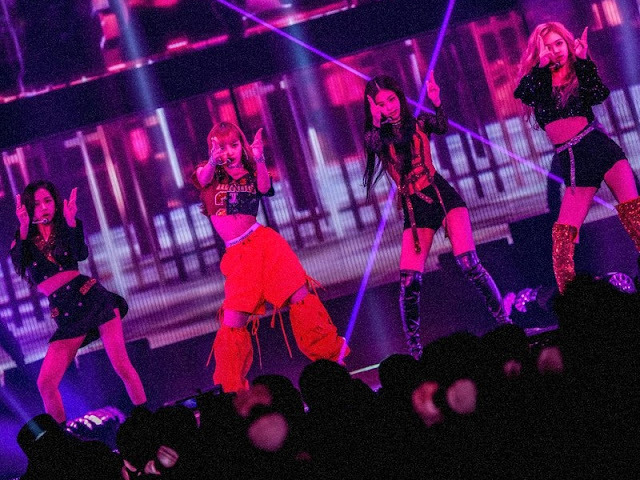 Even more great new for music lovers, BLACKPINK’s concert in February will kickstart a slew of concerts organised by MacpiePro in 2019. Dubbed “Crazy 20”, this means that the event organiser is planning 20 concerts in Malaysia next year, and it won’t just be K-pop concerts either. The organiser is planning to hold Chinese as well as Malay concerts as they hope to provide platforms for both international and local talents to showcase their music to Malaysian audience. One such concert is their first Mandarin concert that will be held at the Arena of Stars on 20 April 2019. Performers include Taiwanese singers Bii and Roger Yang, Chinese singer Jeno Liu and Malaysia’s own Victor Wong and Fuying & Sam (there are also plans to hold a solo concert for this local duo). Past concerts in Malaysia that were organised by them include iKON and WINNER’s back-to-back concerts and three K-Wave Music Festival concerts.